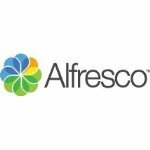 Alfresco is a global leader in enterprise content (ECM)and business process management (BPM) which are tightly integrated. More than 1,800 companies in 195 countries rely on Alfresco Open Source products, including leaders in financial services, healthcare, and the public sector. Rich document management capabilities, including version and access controls. Collaborate on and share documents with colleagues both inside and outside your organisation securely. Access documents securely from your mobile device.